McLaren Automotive released new images of its all-new Speedtail hypercar on Friday. The 1,035-horsepower, three-seater, developmental prototype that’s nothing short of a work of art is called: Albert. McLaren derives the name not from Prince Albert II of Monaco, where we imagine most Speedtails will spend the majority of their time, but instead from Albert Drive, a street in the city of Woking, where McLaren’s headquarters are located. It was on this street that the Speedtail’s predecessor, the F1, was designed, and it is for this street that Speedtail numero uno is named. 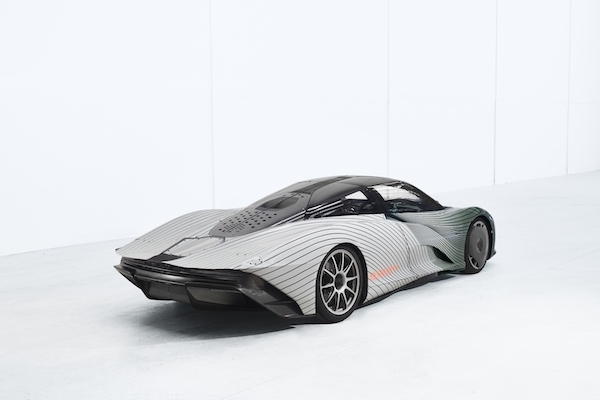 The cabal partial to the Albert name within McLaren presumably won out over the group advocating for the publication of the prototype Speedtail’s internal name, "MVY02*," which comes from a combination of McLaren’s project designation and CAD coordinates. The Speedtail project name MVY0 combines McLaren’s usual MV project initials with the letters Y0, which signify the lateral central point in the XYZ axis in CAD (computer-aided design). "The start of real-world testing represents a major step in the development of the McLaren Speedtail," stated McLaren’s head of vehicle development, Ben Gulliver. "As the first fully representative prototype, Albert will build on the invaluable work still being put in by earlier development cars, allowing us to sign-off vehicle attributes including chassis dynamics; brake performance; damper tuning; tires; NVH and aspects of ergonomics and comfort. 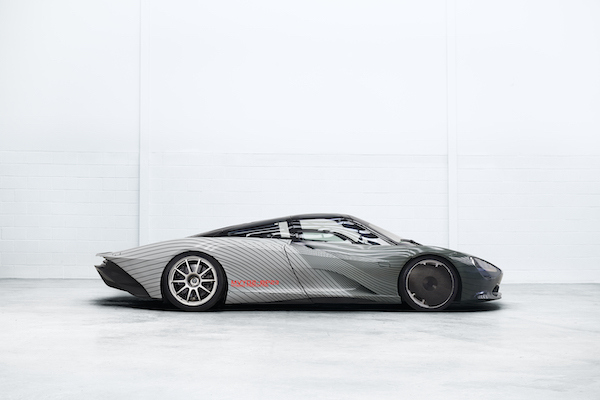 With a huge amount achieved already, the McLaren Speedtail is well on the way to fulfilling its destiny as the greatest McLaren road car ever." Albert, as he (it?) shall henceforth be known, has a production-spec interior, drivetrain, and carbon fiber chassis, but a body and livery that will not match that of the production car. He and his 106 kin will be the most luxurious vehicles ever manufactured by McLaren, not to mention the most aerodynamic, and the fastest. Albert’s 1,035 horsepower should be capable of pushing him to over 250 miles per hour. McLaren will commit to testing Albert at automotive testing facilities with former IndyCar driver Kenny Bräck at the helm before unleashing him for action on public roads across Europe, North America, and Africa starting in December. Production of the Speedtail will start by end-of-year 2019.